KASHMIR - After the death of 3 policemen, the Indian Army along with Police and other paramilitary troops started massive search operation in Pulwama and shopian districts of Indian Occupied Kashmir. 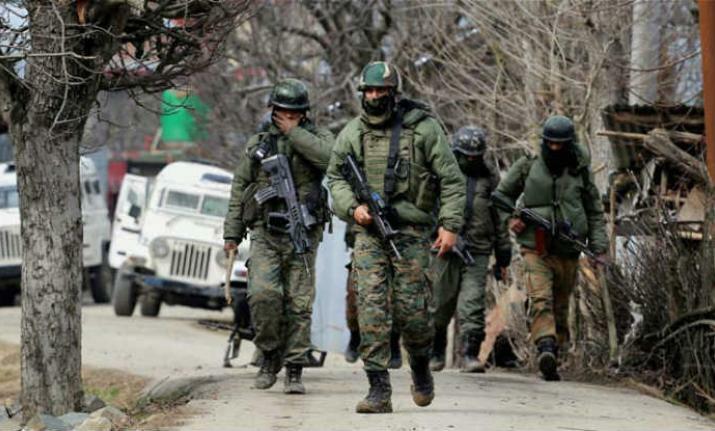 According to Kashmir Media Service, Indian Security forces started searching houses at Lassipora, Armula, Alaipora, Batnur, Garbug, Naupora Payeen, Hajdarpora and Acchan areas of the district and launched door-to-door searches. The three policemen were recently been taken hostage by Kashmir freedom fighters and later their bodies were found at their house-steps. The armed rebels inside Indian Occupied Kashmir are fighting since 1989 against the barbarism of India. The main motive of the armed rebels and mostly civilians in favor of independence from India. Due to massive military operations by Indian Security forces, The UN had produced a report in which the United Nation stated that Indian Forces are behind the Genocide of Kashmiri people. India has committed Human Rights violations in Indian Administrated Kashmir while the Indian Government rejected the report of United Nations. 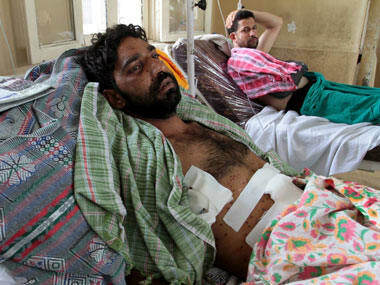 As the armed fighters inside Kashmir and civilians are supporting each other against the Indian invaders in Kashmir, they are now targeting personnel that are working with Indian forces against the separatist movement of Kashmir. Since 1947, Fifteen thousand Kashmiris in Indian-held Kashmir have been either killed or eye-blinded by Indian Security forces. 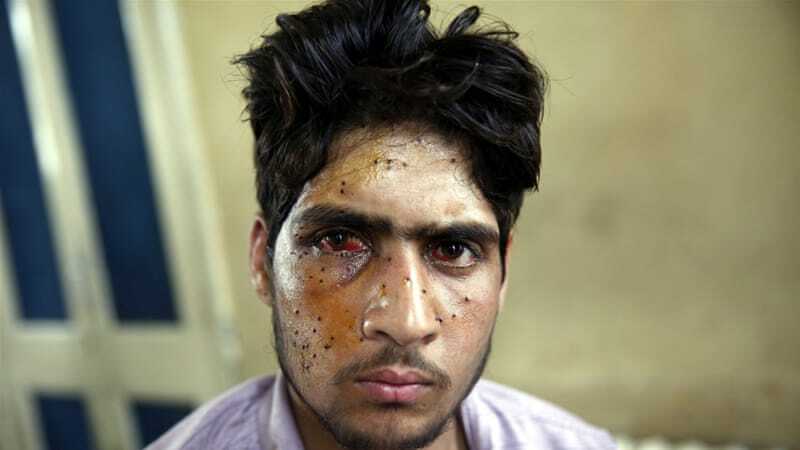 The Indian Security forces use pellet guns freely on the public without any hesitation. 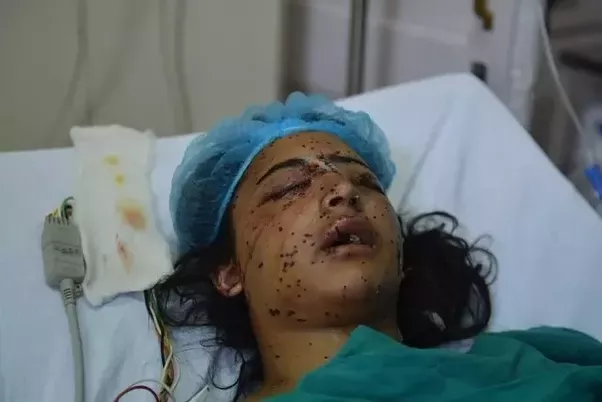 Here are some images of people that were shot by Indian Army pellet guns.